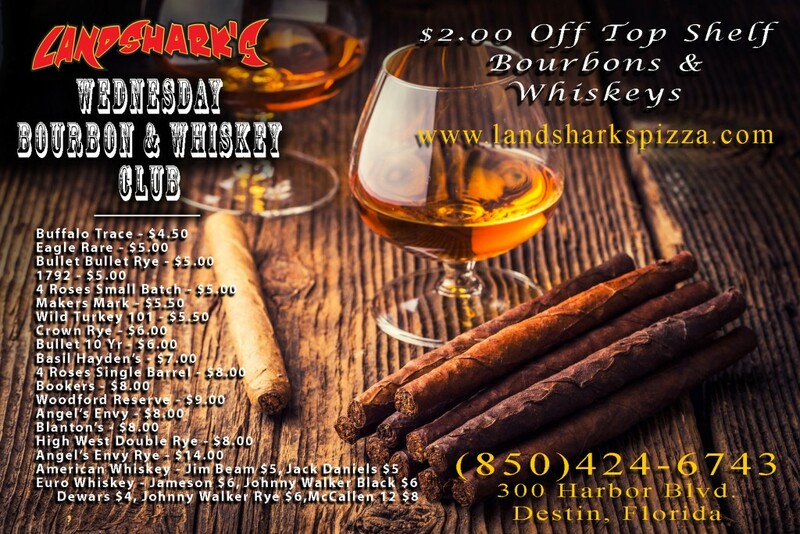 Destin’s BEST Pizza – The Locals’ Favorite! 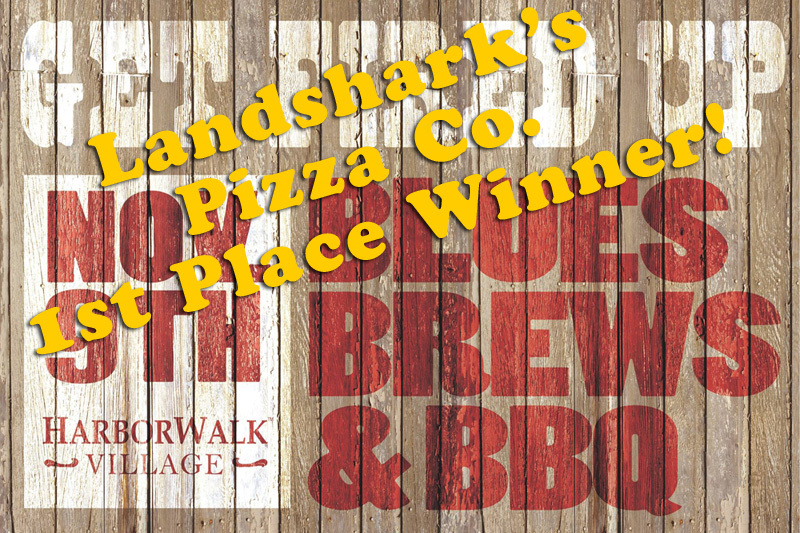 Voted 'BEST PIZZA IN DESTIN 2016' - Every Landshark's Specialty Pizza bears our signature appoach: Generous toppings, expert Brick Oven baking, and the pride of being a multiple winner of The BEST Pizza in Destin! Sausage, Pepperoni, Canadian Bacon, Hamburger, Bacon, Mushrooms, Onions, Black Olives & Green Peppers. The 'Kitchen Sink' of Pizzas. 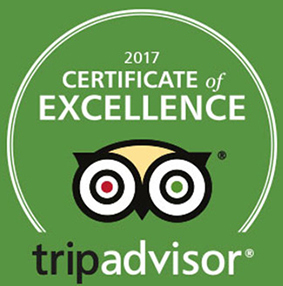 Voted 'BEST PIZZA IN DESTIN 2016 & 2017' - Regular Toppings: Hamburger, Sausage, Pepperoni, Canadian Bacon, Bacon, Chicken, Black Olive Green Olive, Jalapenos, Green Peppers, Banana Peppers, Red Onions, Green Onions, Pineapple, Mushrooms, Tomatoes, Spinach. PREMIUM Toppings: Bacon, Canadian Bacon, Steak, Feta Cheese, Bleu Cheese, Meatballs, and Chicken. *Sorry, no 1/2 & 1/2 divided toppings. 9-Inch Brick Oven-fired with hot melted cheese. 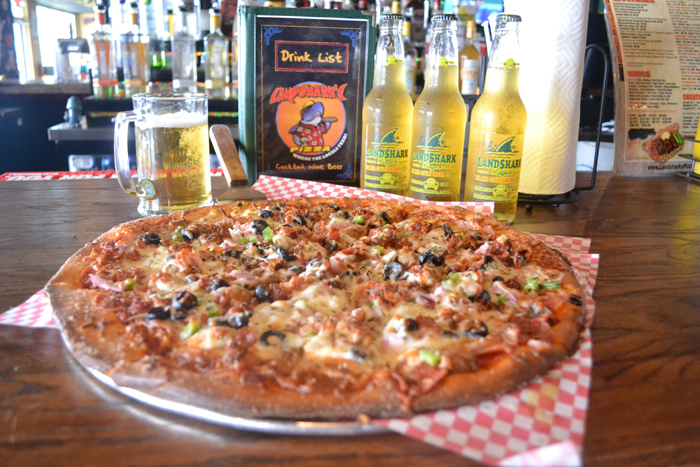 12-Inch Brick Oven-fired with Landshark's special Marinara and hot melted cheese. 16-Inch Brick Oven-fired with Landshark's special Marinara and hot melted cheese.